Though it once seemed to be forged entirely out of pointless spite for Will Forte's MacGruber, the MacGyver movie is nevertheless still inching closer to reality, adding to the growing list of big-screen adaptations of '80s TV shows hastily constructed, if not out of spite, then equally cynical motivations. 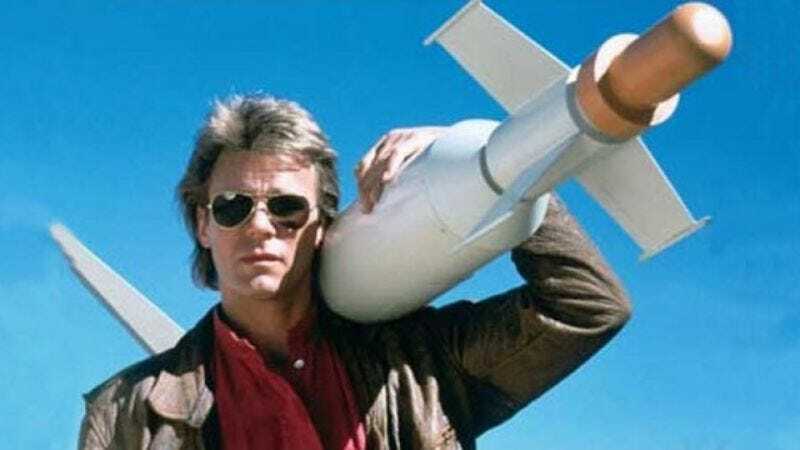 Variety reports that Saw director James Wan is currently in talks with New Line about taking over MacGyver, applying his familiarity with deadly applied sciences and milking franchises to updating the series about a secret agent who eschewed guns for constructing weapons out of whatever junk happened to be lying around. And on that note, the script hails from Bangkok Dangerous writer Jason Richman, and was most recently worked over by Brian and Mark Gunn—the reboot-friendly duo responsible for Journey 2: The Mysterious Island and the long-threatened Monster Squad remake. With Wan now in the mix, these cobbled-together parts will attempt to form a MacGyver movie that will do in a pinch, before New Line explodes or whatever it is that's forcing their hand like this.